A new study shows that blackcurrants can suppress inflammation in the lungs from allergy induced asthma. 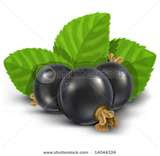 Blackcurrants were shown in a study to act as a natural defense against allergens to keep lung inflammation at bay. Dr Roger Hurst who led the study says, "To find natural compounds that potentially reduce lung inflammation and complement the body's own immune response is an exciting breakthrough. Should we discover more about how this works we may eventually develop foods containing these compounds that could provide more natural alternatives to assist conventional drug treatments for asthma and even other allergic reactions." Blackcurrants contain a compound that works in conjunction with other natural immune defenses to suppress allergy induced asthma. The FDA is issuing caution about taking the prescription statin Zocor (simvastatin) at higher doses, finding so far that the cholesterol lowering medication is more likely to cause muscle damage at doses of 80 mg. The FDA is continuing to investigate Zocor and reports of muscle damage that seem to occur at higher doses. Prescribers, as well as consumers, need to be aware of the potential fo myopathy (muscle damage) associated with statin drug use. Zocor 80 mg, used in conjunction with other medications can lead to kidney failure from rhabdomyolysis that could be fatal. Noscapine, an ingredient found in over the counter cough syrups, is again being studied as a treatment for prostate cancer. Researchers injected mice with prostate cancer cells. A group that was pretreated with noscapine were found to have smaller prostate cancer tumors, making the drug a promising treatment for preventing prostate cancer recurrence. The study authors write, "Pre-treatment with noscapine confers a significant benefit compared with control in both primary tumor growth and primary tumor growth- inhibition rate and exhibits an extremely favorable tolerability profile." Dr. Barken, Founder and Medical Director of the Prostate Cancer Research and Education Foundation (PCREF) in San Diego, California, said: "PCREF is now seeking sponsorship for clinical data collection in post-surgery patients who are at high-risk of recurrence for their prostate cancer." Findings from Kaiser Permanente researchers show that extreme obesity in children and adolescents is becoming prevalent, raising public health concerns about future risk of heart disease, diabetes, stroke and other obesity related diseases that can occur in adulthood. The analysis also shows that children are becoming extremely obese at a younger age. More than 45,000 extremely obese children were found among 710,949 children ages two to 19, enrolled in the Southern California integrated health plan in 2007 and 2008. Calcium is important to prevent osteoporosis, but new research sheds light on the need for both calcium and vitamin D for strong bones. Recommended calcium intake is not currently associated with vitamin D, but the new findings suggest the importance of focusing more on the interplay between calcium and vitamin D for preventing osteoporosis. Low levels of vitamin D found in large portions of the population may explain why boosting calcium intake is not always successful for maintaining bone density. Current recommendations for calcium intake is 1200 mg daily for adults aged 50 and older in the US, but the suggested amount varies between countries. Researchers looked at 10,000 men and women aged 20 and older from a national survey, finding that a large number of younger and older adults have lower than recommended levels of vitamin D, of at least 75 nanomoles-per-liter (nmol/L). The low vitamin D levels found means that calcium alone is insufficient to prevent osteoporosis. Hormone replacement therapy (HRT) used by post menopausal women is now linked to increased risk for lung cancer. Women age 50 to 76 who take estrogen plus progestin for 10 years or more were found to have a 50 percent greater chance of developing lung cancer compared to women not using hormone replacement therapy. Even though the risk of lung cancer is small compared to smoking, Chris Slatore, M.D., who led the study says, "Although HRT use has declined and is not recommended except for short-term treatment of menopausal symptoms, our results indicate millions of women may remain at risk of developing lung cancer." The link between hormone replacement and lung cancer was found in a review of data from the Vitamins and Lifestyle Study in Washington State from 2000 to 2002. Smoking cessation can lead to better health, but finding ways to kick the habit can be difficult. Regular exercise can reverse some of the harmful effects of nicotine and also make it easier to stop smoking. A study published February 22 from University of Georgia researchers and published in the Archives of Internal Medicine, revealed that exercise can reduce anxiety by twenty percent. Exercise is a natural way to reduce anxiety associated with smoking cesssation. Smokers who exercise were also found to find cigarettes less appealing, found in a study from researchers at University of Exeter and published in the journal Addiction. Past studies have shown that brisk walking can reduce cravings for cigarettes, as well as reducing the urge to light up from smoking cues.